I think I’ve been to the Adler Planetarium four times in my life. I remember going there once when I was quite young indeed and the planetarium show scared me. They were talking about the other planets and mentioned that the atmosphere of Jupiter was poisonous. I had uncorrected nearsightedness at that age* and the image that accompanied that statement looked frightening to me, like some kind of wall that was melting gruesomely. I sometimes wonder what that image actually was. So, as a result, I wasn’t a fan until I got to be much older (and got glasses). I think we did one field trip there, but don’t quote me on that. The next time I am certain that we went was when I was in my teens or early twenties and the show was different. The one thing I came away with that time was that the Planetarium show was great, but that the building itself is very small, and the exhibits were not terribly exciting. I returned again in August of 2016. 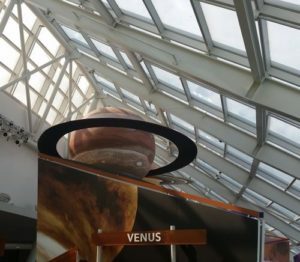 There is a planetarium in Salt Lake City that Alex and I didn’t have a chance to visit, so I promised him a trip to the Adler during our Chicago trip. The building is much larger now. Well, they haven’t actually enlarged the building, because it’s a landmark, but they added a glassed-in portion that’s probably as large as the original building itself, plus it has several sublevels. When we went, there were exhibits on telescopes, the nature of the universe, a model solar system that is beautiful but certainly didn’t look to scale to me. They also have a meteorite that you can touch. 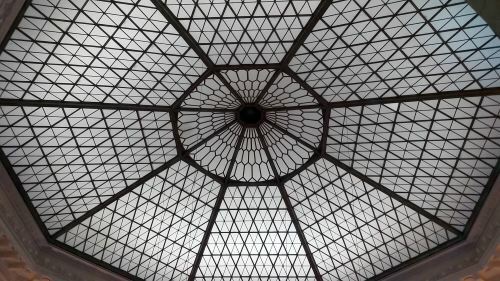 One can also see the oldest planetarium in the city, the Atwood Sphere, which dates from 1913 and has 692 holes drilled in it, each representing one of the brightest stars in the sky. See what I mean about this not looking like it’s to scale? Jupiter and Saturn are almost touching and they look awfully close to Venus there. The Adler Planetarium was named for Max Adler, an executive at Sears Roebuck & Co. (presumably Adler was the “Co.”), who donated the money to build it. Adler had seen some planetaria in Europe and felt that the United States needed one. The planetarium opened in 1930 (so the Atwood Sphere obviously was somewhere else prior to that point; where, I don’t know). So I was much more impressed by the Planetarium this time than last time. Alex and I were trying to cover a lot of territory in a short time, so we went to a show that was held in one of the sublevels and had a flat screen rather than a dome, so I owe him a dome planetarium show. Looks like San Antonio College has a planetarium show on Friday nights. I might be taking a Friday night off sometimes soon and then we’ll have a brand-new South Texas Destination to share. And I think I’ve found where the Atwood Sphere has been all its life. It was originally housed in the Chicago Academy of Sciences museum. The museum was in the Matthew Laflin building in Lincoln Park until 1994. The sphere was moved to the Adler in 1995, and then in 1999 the Academy of Sciences museum moved to a new building, still in Lincoln Park, and was renamed the Peggy Notebaert Nature Museum. 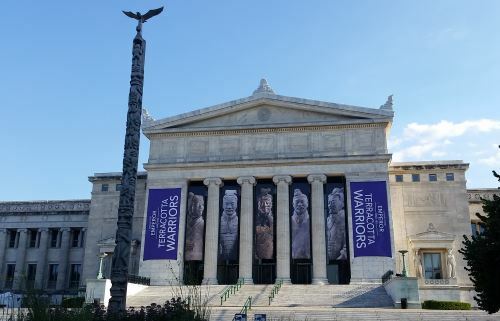 So it looks like my next trip to Chicago (tentatively scheduled for 2019) will include the Notebeart museum in addition to the Chicago History Museum, the Oriental Institute Museum, and the Museum of Science and Industry. *So here’s how it was discovered that I was nearsighted. I’d been telling people that my perceptions weren’t the same as theirs for years. As an example, I didn’t believe that the candles in a Catholic church were candles. They looked like the blinking lights like on the control panel of the Enterprise on Star Trek. After the service (wedding?) my mom took me up to see that they were, in fact, candles. I guess my parents chalked things like this up to imagination and it didn’t occur to my parents that this “imagination” that I had was nearsightedness until we went to the circus in 1973. We were waiting for it to start and I asked them what time it was and they both said, “You can’t see the clock?” I couldn’t. They indicated that it was on the wall and I looked way up and down the amphitheater (or was it the Coliseum? No, I’m pretty sure it was the Amphitheater.**). No clock. Finally my mom put her opera glasses in front of my face and adjusted until the clock came into focus. It had been right in font of me the whole time. ** I checked with my dad and, in a surprise come-from-behind victory, it was the Chicago Stadium. 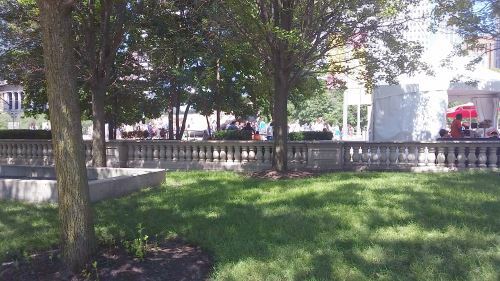 This was the original first paragraph that I wrote for this post: I have to admit that I’ve only been to the Shedd Aquarium (the full name of which is “John G. Shedd Aquarium”) a few times. I recall a childhood field trip to the Aquarium, one trip with my parents when I was pretty young, and a trip sometime in the early 1990s. At this point, I remembered that I had a trip to Chicago scheduled and that Alex and I could actually visit the aquarium and wouldn’t need the explanation that I hadn’t been there in over 20 years. So we did. One thing that I’ve noticed about Chicago is that retail was a big deal there in a way that it doesn’t seem to have been in other cities. In Pittsburgh, for example, the Carnegie family was a big deal — the Carnegie Museums, Carnegie Mellon University, etc. In Chicago, one of the leading families was the Field family and you see their name on the Field Museum, for example. Marshall Field & Co. also was instrumental in the founding of the Shedd Aquarium. you see, John G. Shedd was an executive at Marshall Field & Co. I wasn’t really thrilled by the aquarium when I was younger. For my first visits, I was too short to really see into the tanks comfortably (I loved the reef in the center of the building, though, since the glass goes all the way down to the floor). I loved the architecture, though. There are carvings of sea life, like scallop shells and sea stars, in the details on the building, and the octagonal dome above the reef is gorgeous. The rest of the building is long sort of galleries with an arched ceiling that gives the building a unique feel. In 1991, they opened the Abbott Oceanarium and then they made another addition in 2003. Today the Shedd Aquarium is home to 32,000 animals, including dolphins, beluga whales, and sharks. There is also a tank holding sea lampreys, which are a major pest animal in the Great Lakes. Most of the museum is accessible to wheelchair users. If you give the museum two weeks’ notice they can also get a sign language interpreter for deaf visitors. Also, as I write this, there are plans to add special features for blind visitors. This is going to be a twothree (see note below)-part post. 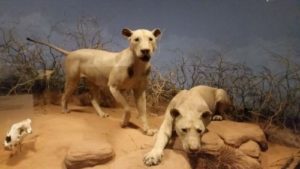 The first part will cover the Witte Museum as I have visited it in the past and what I saw during my recent visit on June 21. Then, once the renovations to the museum are finished (which is projected to be sometime in early 2017), I will return and take new photos and do a writeup of that visit. I’m trying to remember the first time I went to the Witte Museum. Fairly soon after we moved to Texas, my now-ex and I attended a wedding there, but I think that was our second visit, or maybe our third. 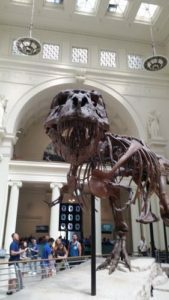 I cut my teeth on world-class museums like the Field Museum of Natural History and the Museum of Science and Industry in Chicago, so the Witte was kind of underwhelming at first. Charming, in a sort of small-town way. My now-ex and I were particularly nonplussed by the selection of longhorn furniture (as in made from the horns of longhorn cattle, not furniture that supports the University of Texas at Austin Longhorns sports teams). The entrance to the Witte Museum used to have a fountain and an elephant statue from the now-no-longer-extant Hertzberg Circus Museum in front of it. Flanking the doors (though a ways away) were two statues, “Mother and Child” and “Father and Child” by Charles Umlauf. I think there was also a third Umlauf sculpture somewhere on the property as well. There was one dinosaur, as I recall, a triceratops, I think. This was kind of a disappointment, as this area had lots of dinosaurs back in those days. There are dinosaur tracks at Government Canyon State Natural Area and also some were found along the spillway for Lake Boerne (only one, maybe two, of the lakes of Texas are natural lakes — the rest are man-made). Seems like they could have acquired some more local species of dinosaur. Quite a lot of the first floor of the museum was taken up with the special exhibit area, which has an extra charge in addition to the admission fee (that was hard to type at 7:00 in the morning! ), and most of the rest of the floor was taken up with a display on the fauna of Texas, including some taxidermy animals. There was also a room that had live exhibits — tarantula, snakes, and so forth. The Witte had a coterie of prairie dogs, and a bee colony that had access to the outside. Upstairs, as I recall, was primarily human history. There was a small exhibit on Ancient Egypt (for Ancient Egypt, back then, you’d be better off at the San Antonio Museum of Art) and some information on native cultures and the stone-aged people of Texas. There was also a room of artifacts from more recent Texas history (and this is where the aforementioned longhorn furniture used to stand). I’m now about 500 words into this. Maybe I’ll turn the Witte Museum into a series of three posts. Because I’m still not entirely done with the layout of the museum before the renovations started. At the back of the first floor of the museum was another temporary exhibit space — this one for free exhibits (mostly of photographs, posters, that sort of thing, though I think that may have been where I saw the display of butterflies and moths on one visit). I think our first visit was because I was on a historical photograph kick and someone mentioned that they were having a display of historical photographs at the Witte. Actually, if I recall, the person said, “There are historical photographs at the Witte,” and so I thought at first that it was a permanent thing. I was very disappointed to find that it was temporary. At the back of that exhibit room there were several doors leading outside. There also used to be doors outside from somewhere in the vicinity of the room with the prairie dogs and bees. Out back of the museum there were a variety of historic structures including a limestone house, the studio of the artist Julian Onderdonk, and the home of José Antonio Navarro. There is also a replica log cabin constructed in 1939 by the National Youth Administration which, I guess, makes it historical, just in a different way from the others. Way off in the southeasternmost corner of the museum’s property was the HEB Science Treehouse. The Science Treehouse focused largely on physics, since that’s a pretty easy thing to do in a museum — there were exhibits on pulleys, for example, and a whole room of various musical instruments to demonstrate acoustics (you would not believe what I had to go through to find that word!). There was also a section on ecology of the San Antonio River (which flows right past the museum) and I think there was a meteorology section as well. Outside the treehouse was an assortment of water-related activities, including an Archimedes Screw. For the last part of the older Witte, I’m going to have to take you back farther in time, to the early 20th Century. A Mexican artist named Dionicio Rodriguez mastered a technique that he called “faux bois,” which is making cement look like wood. You can see his work all over the city. He made a bridge in Brackenridge Park and several features at the nearby Miraflores estate (speaking of things I need to talk about later). There are a number of other examples of his work throughout the city. When Rodriguez died in 1955, it was expected that the secret had died with him. However, another local artist, Carlos Cortés claims that Rodriguez taught the technique to his family and they passed it down to him. Either way, Cortés has been making faux bois sculptures throughout the area. As I write this, Cortés has just recently been sent to prison for a year for tax evasion. The banister of the stairs on the Little Treehouse. I took this picture just to see if it would work and was quite taken by the result. Well, tax evader or not, Cortés built what is one of my favorite parts of the Witte Museum, the Little Treehouse, a faux bois, well, treehouse, that has educational signage on the wildlife of the region. 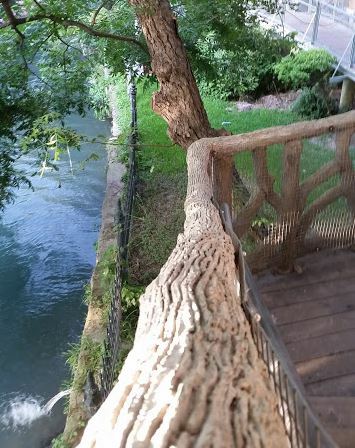 I generally go out through the door on the, I think it’s the second, floor of the HEB treehouse and walk the bridge across to the top of the Little Treehouse then walk down from there. Much of the Witte is handicap accessible. Some of the historical buildings have stairs and, of course, there is no way to get a wheelchair down the stairs of the Little Treehouse. The bridge across is stable, though I hate to admit that it totally slipped my mind to measure the width to see if a wheelchair would have room to make it across. So, I Was Going to Write About the San Antonio Museum of Art. . . . I figure that since my last South Texas Destination, Denman Estate Park, was the home of a major donor to the San Antonio Museum of Art, I maybe should write up the museum next. At first, I thought that I should make another trip to the museum, but I’ve been there dozens, or maybe even scores, of times over the last 23 years that I’ve lived in San Antonio, so I don’t actually need to go there again before I can write knowledgeably about it. Then I went looking for my pictures from my last trip to the museum and couldn’t find them. I know that my last trip to the museum was after my dad moved down here in 2009. In fact, Alex, my dad, and I went to lunch at La Gloria at the Pearl Brewery and then hiked down the Riverwalk to the museum, and the oldest Yelp review I can find for La Gloria is from 2010, so we can probably make that the earliest start date. I think we must have gotten there after 4 p.m. on a Tuesday, because the museum has traditionally had free admission then and I don’t recall paying admission, though that’s actually immaterial. The trip must have been before June of 2014, however, because that’s when I got my Galaxy S5 phone. I originally thought to look at my Google Maps timeline to see if that trip is on there and found that neither the Pearl Brewery nor the museum is on my timeline. I have opened and looked into every folder in my photos directory between those dates and had no luck. I’ll keep digging just in case, but I think they’re gone. It’s a pity, too, because there were some pictures that I was really proud of in there. So it looks like I’ll have to go back to the museum after all. I might be able to return to the Pearl and to the museum on Saturday, May 21, but the museum might be pretty crowded then and I might not be able to get any really good pictures without multiple strangers hanging around in them. Also, Alex and I are both recovering from a pretty nasty respiratory virus. I feel a lot better, but I’m several days ahead of him and he got hit harder than I did. Alex spends Memorial Day weekend (for those not in the United States, that’s the weekend before the final Monday of May) and nearly all of June with his dad, so this Saturday is going to be our last Saturday together until June 25. We have plans with my dad on Sunday, so that’s out. So, it looks like if we can’t go on May 21, I won’t be writing about the museum until at least June 25 and at that point I might as well wait until Alex gets back from his dad’s and then go before noon on a Sunday or after 4 on a Tuesday when we can get in for free. So I guess I’ll start working on a different South Texas Destination just in case. Maybe I’ll do the Botanical Gardens. I can find lots and lots of pictures from there (we’re members and get in for free). . . . I have to admit that the title of this post made me roll my eyes. Because, of course the Art Institute of Chicago is in Chicago. Except not really. Just as two examples, there is the Chicago Zoological Park, which is located in Brookfield, Illinois (and which, consequently, is commonly called “Brookfield Zoo”) and the Chicago Botanic Gardens, which is in Glencoe. So I guess it’s not as silly as it would seem. I have, of course, returned to the Art Institute many times over the intervening years and have plenty of more concrete memories of it than some stairs and what might or might not be a mushroom. When I was maybe 10 or 11, my parents became members of the museum for a time and we took frequent advantage of the free admission for members. My dad needed to go downtown to do research during my adolescence and I went with him several of those times. The Art Institute was one of my favorite places to go during those days (and twice I brought a friend with me). 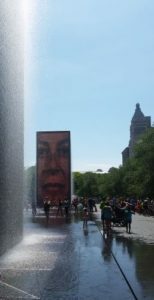 I am, by the way, not the only person in my family who has early semi-formed memories of the Art Institute as a nice place to visit. In 2010, Alex and I were spending the one day of our four-day trip to Chicago downtown. We had gone for the Taste of Chicago festival and once we were done there, I suggested that we visit the Art Institute (since they’re both in Grant Park). We were tired, and Alex was reluctant, but agreed to just stick his head in. So we did, we walked maybe five steps in and Alex said, “I dream about this place.” I asked if they were good dreams and he said that they were. So he comes by that honest. I tell people that Monet is my favorite artist. It’s not because he is popular or because his artwork would match my sofa (I have two, both taupe, so probably pretty much anything would match my sofa(s) equally well (or poorly, I guess)). Monet is my favorite artist in part because I’m pretty severely nearsighted (though less so in my later years than I was in my youth). The softer focus, particularly of works during the late 1890s actually feels kind of like home to me. Another reason why I am so fond of Monet is because on one of my memories from probably 1977 or so, my mom and I kept identifying certain paintings as something we particularly liked. And nearly always, we were in agreement, and almost every time, the painting was by Monet. The Art Institute has the largest collection of works by Monet outside of France, so there are a lot of Monet paintings to choose from if water lilies aren’t your thing. The Art Institute is home to a few other well-known works of art. You may have heard of some of them: Chagall’s America Windows, Hopper’s Nighthawks, Seurat’s A Sunday Afternoon on La Grande Jatte, Wood’s American Gothic, and a whole bunch of others you might not know by name, such as the Toulouse-Lautrec self-portrait of himself at the Moulin Rouge (the distinguishing feature of this one, however, is the woman with the sort of bluish/cyan face in the foreground, which was for a time tucked underneath the frame, so I am apparently not the only person who finds her unsettling) and also the painting of Dorian Gray used as the painting in the 1945 movie with Donna Reed, Angela Lansbury, Peter Lawford and . . . Hurd Hatfield? The spiral staircase notwithstanding, the Art Institute is wheelchair accessible (wheelchair-friendly entrances are located at the main entrance and also the Modern Wing entrance).